the xray doctor: xrayoftheweek 4: why has this man got back pain? 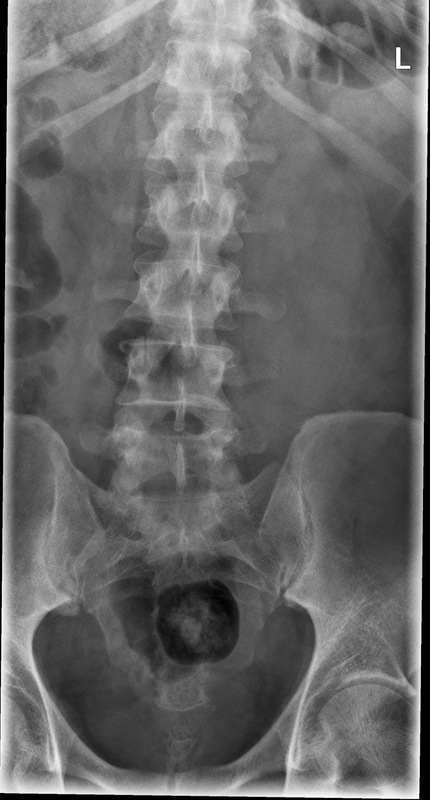 xrayoftheweek 4: why has this man got back pain? This man has back pain and is generally unwell. 1. What are the xray signs? 2. Which investigations would you do next? This confirms destruction of the T12 vertebral body, with sclerosis of the existing bone. 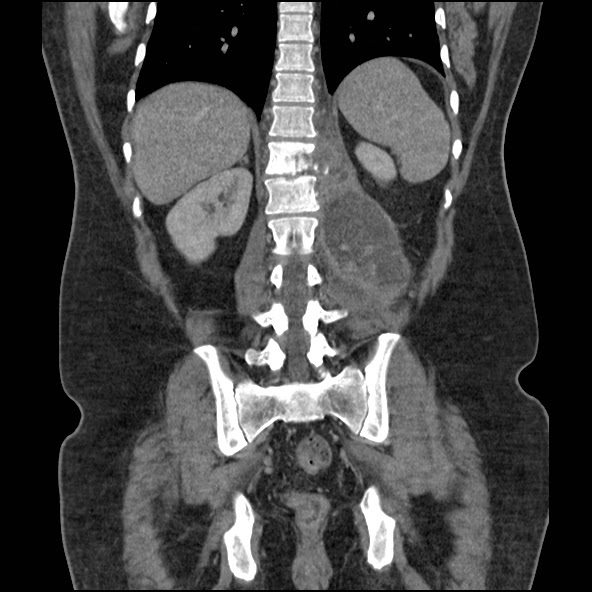 There is a large collection in the left retroperitoneal space, involving the psoas muscle. The appearances are of an aggressive infection. 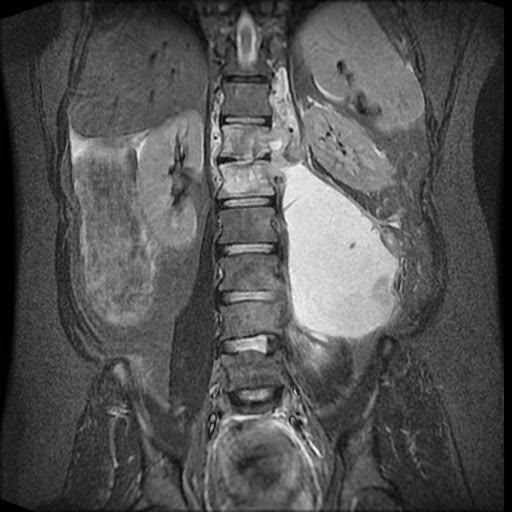 MRI confirmed the infection to originate from the T12-L1 intervertebral disc, with an enhancing epidural abscess compressing the spinal cord, as well as the large retroperitoneal abscess - this involved the left psoas muscle and also the left erector spinae muscle. There is also an prevertebral subligamentous component. The left kidney is displaced laterally. 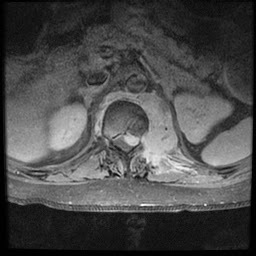 The MRI also shows bone oedema involving both the T12 and L1 vertebral bodies. Copyright Dr Vikas Shah. Simple theme. Powered by Blogger.